Do you find yourself singing Total Eclipse of the Heart today? Is it just me, or do you find yourself singing the song from way back, Total Eclipse of the Heart”, by Bonnie Tyler? 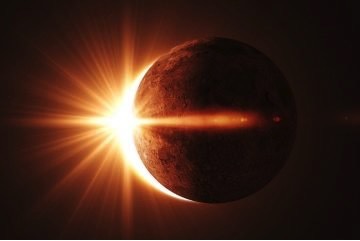 Oh yeah, today is the first day since 1979 in the US that we will experience a TOTAL ECLIPSE OF THE SUN! So, for those of us who read into the hidden symbolism in all things, how could we pass this one up? Ce n’est pas possible! First of all, what is an eclipse? An eclipse is an obscuring of the light from one celestial body by the passage of another between it and the observer or between it and its source of illumination. Today, the celestial body of the moon is moving in front of the celestial body of the sun. If this were my dream, I’d interpret the sun as the dynamic, radiant, expressive, masculine aspect of me. The moon is the feminine, flowing, in tune with the cycles and tides of life aspect of me. This feels like a sign of the times? This is certainly a poignant message for me! For many of us (individually and collectively), the divine feminine within has taken a backseat to the more outspoken, dynamic sun of our inner masculine. I think of the times, like recently, when I’ve been under the weather, and forced to be still, lie down, listen, feel, let go…ahhhhhh…oh the beauty, the wisdom, the messages that come from the deeper, more subtle places within that don’t get as much airtime as the other aspect when I’m running around ruled by the sun. But, today, the still small voice of the moon has a bullhorn! Today, our inner moon gets to take center stage. She will not be ignored…and it’s a good thing…and perhaps right on time. 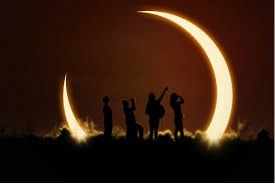 What does the eclipse mean to you? What significance will you give it? What will you do to honor the more subtle (yet powerful) moon aspect of you today? Join me for dream work, yoga, meditation, cultural immersion, and maybe even some zip-lining in this heaven on earth paradise! >I’ve teamed up with Cultural Adventure Trips to create an exceptional journey in Paradise. Come and join us in Costa Rica, there are ONLY 20 SPOTS AVAILABLE! 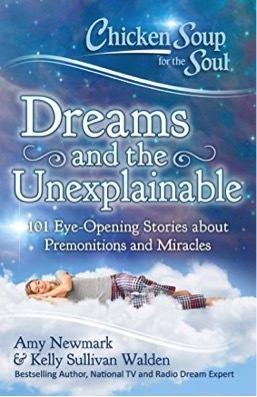 Mark your calendars for September 26th for the launch of my latest book: Chicken Soup for the Soul: Dreams and the Unexplainable. It’s not crazy. 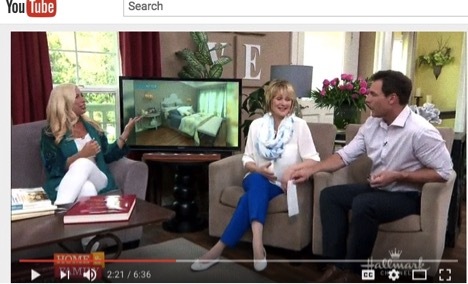 You really can use your dreams and premonitions to change your life!